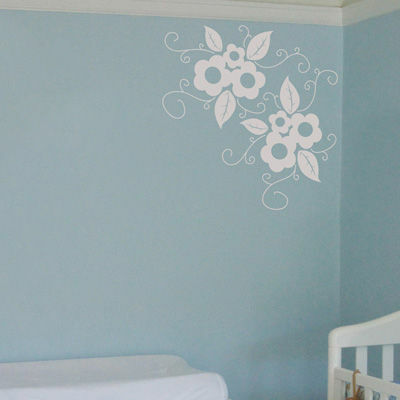 This adorable Vintage Flower wall decal will look great anywhere you choose to place it! Our wall decals are ideal for offices, living rooms, entryways, classrooms, even your car windows or glass shower doors! Decal measures approximately 24 inches wide by 24 inches tall. 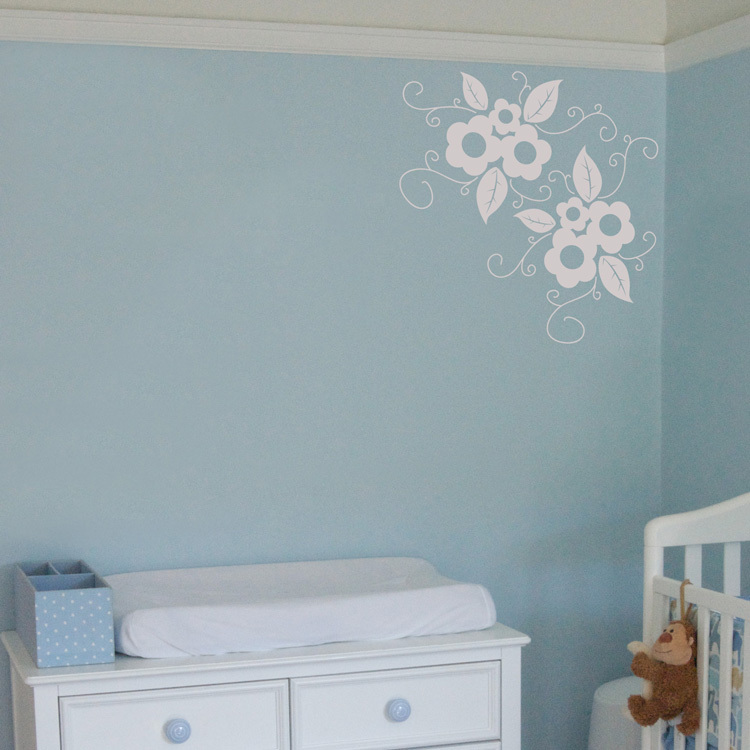 Our Vintage Flower wall decal comes in one piece ready to apply! These wall decals have enhanced my living space beyond what I envisioned. They got here fast and were EASY to put up. Most importantly, the designs are rich and beautiful. I get compliments all the time. SO WORTH IT!!! Dali Decal products are high quality and easy to install .... the end results will blow you away! This is the perfect customizable decor solution with unending possibilities. I highly recommend Dali Decals. I just received my decal and put it up right away. It is just amazing! I ordered the large "Love" quote in burgundy and its perfect! The color matches the site's color exactly. The company recommends getting the semi-gloss decals for textured walls, which I agree with. I tried both but the semi-gloss works much better on texture. Both look great on non-textured walls. Not only did they send my decal quickly, but they also sent some adorable bird decals for free (in addition to some practice decals). They were the perfect addition to the room. Dali Decals has given me great service both times I have ordered from them and I will certainly be buying more decals in the future! I just wanted to thank you for a superb job you recently did for me for my nephew's birthday present. I wanted both a guitar and saxophone wall decals for his bedroom. I found your site and after talking to your design consultants, had a few designs to choose from that would work. Both decals were printed and shipped quickly and arrived on time. They were easy to install and look fantastic in his bedroom. Thank you for a positive experience and one very happy teenager.